Started late and ended early. 5 on 40, and 1 on 80 - thanks for the Q's. Kx2 & vertical. A good evening with the KX2, internal battery, and paddles feeding a Force 12 C4SXL at 60 feet. 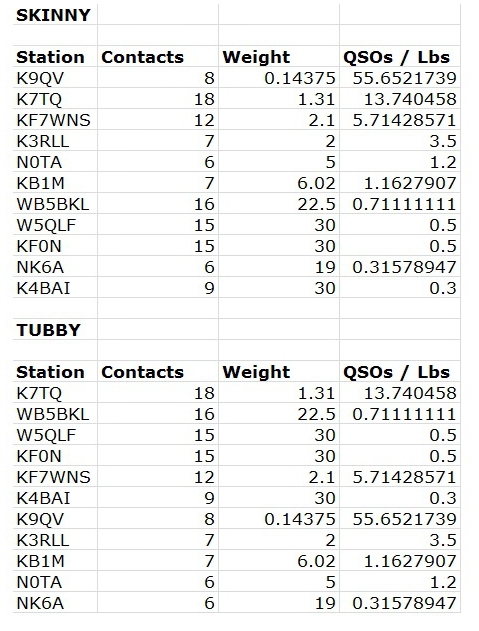 Good first half hour on 20 m with 7 Qs, then good second half hour on 40 with 7 more Qs. Not so good last hour on 40 for a total of 11 Qs on 40. 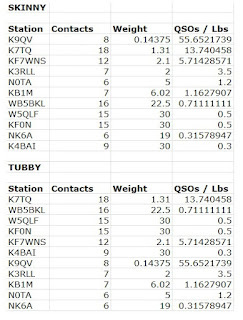 WB5BKL, K9QV, and KF0N were two band catches. The internal battery was on its last leg at 10.0 V on transmit after starting with a full charge. Just right for a Spartan Sprint. Catch many of you again in June. K3/10 @ 5W to a 20M delta loop, a 40M dipole or a 40M extended double Zepp. Finally, some propagation. In the middle of the session, I suddenly lost the CW sidetone - which resulted in my sending even more gibberish than I normally send. I found the problem about 20 minutes later, but will send my apologies to N5EBD for the very strange QSO. Best signals: 20M - KF0N, 40 and 80M - K4BAI. 10 States this time but no 3-banders. K9QV(?) was the most difficult QSO. My thanks, and best regards to all. Had fun. Reduced weight by using smaller battery and homebrew key. Had some key problems, but was able to fix after an hour. Battery was VERY low by the end. Still managed more contacts than last month. No contacts on 80m. 72 de Drew.